Pharmaceutical companies are continuously looking for new ways to increase productivity, and to increase robotic automation and robotic systems. However, there are three more common areas where pharmaceutical industry used robots are Medical Devices, Laboratories, and pharmacies. Recently, robotic industry continuing to grow in others sectors as Biotechnology, Hospital automation and Patient services. Why is pharmaceutical industry using robots? Robot, not only carry out tasks with an extremely high degree of repeatability, but every step in the process can be documented, recorded and verified automatically. The human can make mistakes not setting the right temperature or timer when they place the drug into an oven but robots will perform any task without mistakes because they are extremely accurate. Pharmaceutical Industry is just one of the area that robotic automation can be possible, Robotics have a future in others applications related to medical and life sciences. Pharmacies – Due to the potential hazards and high volumes, some hospitals and larger health care clinics utilize robotics to dispense medication. Robotics play a key role in assembly and packaging of medical devices and implants as well as preparing prescriptions for pharmacies or hospitals. 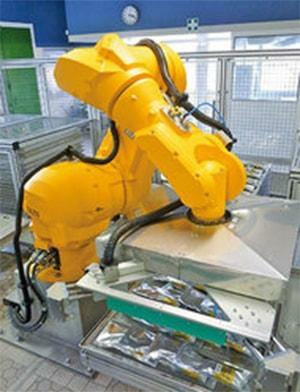 Robots combine patient safety with high performance in applications like preparing and dispensing of chemotherapy toxic drugs for patients, filling of syringes or safe handling of cytotoxic drugs. Phoenix will guide you on the Pharmaceutical automation that best fits your needs.